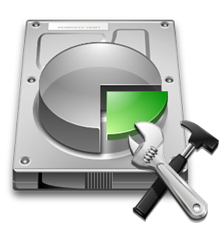 Hyper-V recovery software is one of the best solutions to restore data from corrupted or damaged Hyper-V files. It enables users to regain back permanently lost and formatted data from the virtual hard drives. There is no file size limitation associated with tool to repair virtual server file with it. Give support for all file systems like NTFS, FAT32, FAT16, etc. The Hyper-V recovery software is available with demo version for free that works same as the licensed one. But, there is one constraint with this edition that users will not be able to save files after the recovery. Apart from this, rest functionality of the product is identical for evaluation or testing purpose. 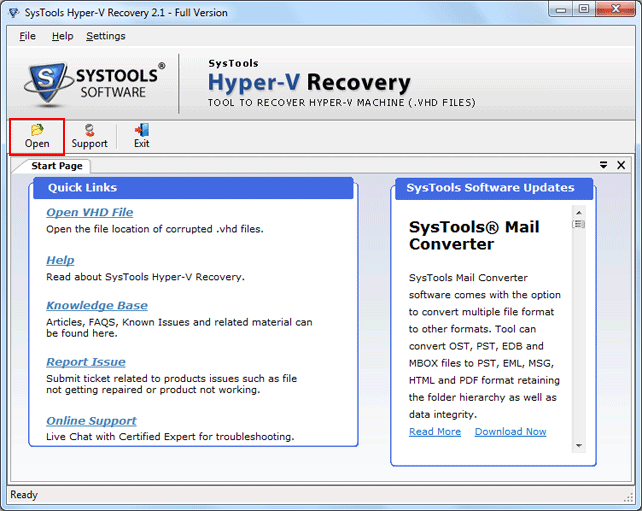 The Hyper-V repair tool product for Windows operating system enables users to restore the virtual server file data with all items like video, images, audio, archive, database, etc. It recovers data with 100% accuracy and saves it on the user-defined location without changing the original form of it. 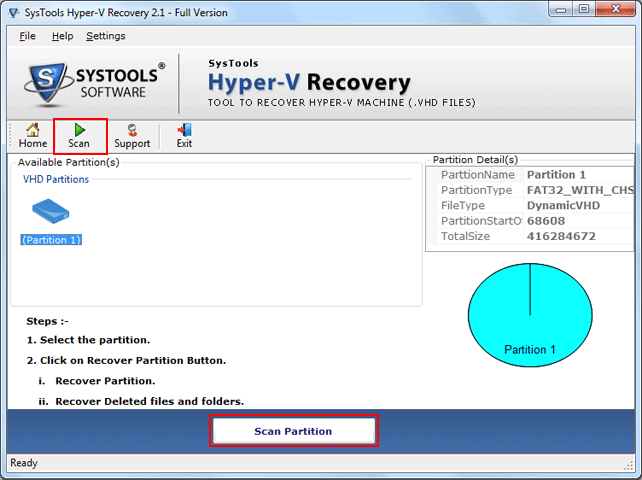 The tool benefits users with various partition scanning options to repair corrupted Hyper-V files. Quick mode is offered to tackle with less corrupted virtual server files and Advance scanning is designed to deal with damaged or severely corrupted files. Besides all this, the application also offers Raw scan operation for the resolution of MBR partition corruption in Hyper-V file. 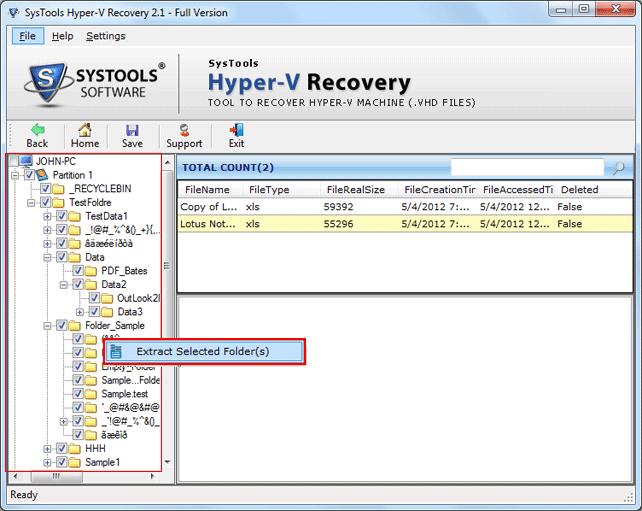 Hyper-V recovery tool provides a useful option of saving the recovered data on local machine. The extracted files and folders can be saved on PC by using the ‘Save’ option. Entire data with all associated meta properties will be saved in same format and styling as it was before the corruption. Also, users can check only those folder that they want to save. Is it possible to process multiple Hyper-V files simultaneously with your tool? No, the application does not support batch file processing. You have to repair virtual server Hyper-V file one-by-one with help of this software. What is your software indicating with “Red Cross” on folder? A “Red Cross” in Hyper-V recovery tool denotes the extracted data, which was damaged either due to corruption or deletion. When I am adding Hyper-V file in your product, I encounter an error i.e., 'Incorrect file type'. Can anyone help me out with the same? Yes, if the recovery application is prompting this error statement then, check that the source file is having virtual server files extension. If the extension doesn’t belongs to Hyper-V then, change it into its file format. "I am grateful to the development team of Hyper-V recovery tool for coming up with such an excellent application for fixing corrupt virtual server files. The attractive part of the product is that it does not requires any high technical skills to work with it. Even a novice user can utilize the application without any prior knowledge"
"I came across this product through the organic searching. It fixed all my damaged virtual server Hyper-V files. Before this software, I tried many products but, none of them restored the files and folders exactly the way I wanted. Then, I learned about Raw scanning feature of this product and finally my search came to a successful and satisfactory end."